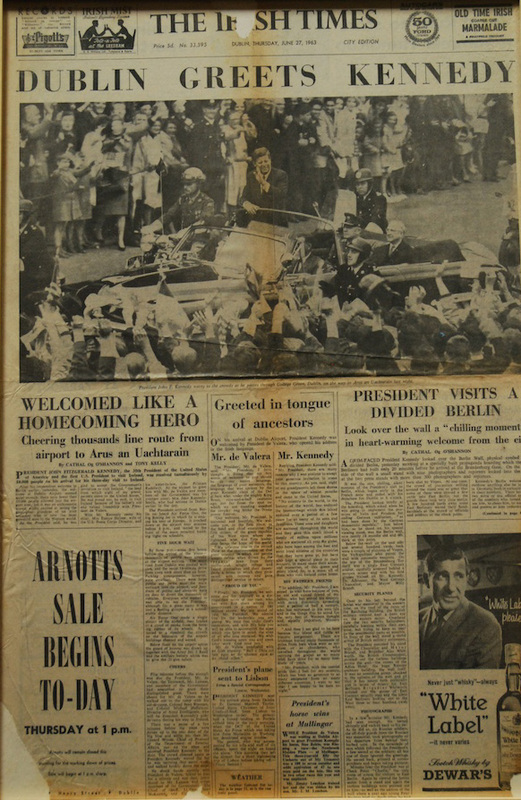 Kennedy was mobbed by autograph-hunters at a garden party held in his honour at the home of the President. Six months later he was killed in Dallas. His address to both houses of the Oireachtas during his trip was a bravura performance; a sort of homecoming, as the Irish Times noted.